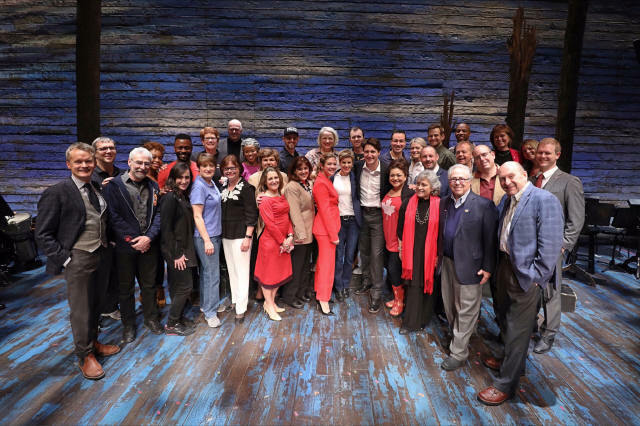 Last night Prime Minister Justin Trudeau attended the opening of the Broadway play “Come From Away” which is about Canada’s assistance to the American passengers stranded after the 9/11 terrorist attacks. In the aftermath of the attacks, 38 plans that were already in the air were diverted to the remote East Coast town of Gander, Newfoundland. The town with a population of 10,000 suddenly had to shelter almost 7,000 passengers and flight crew. When the hotels filled up, residents opened up their homes to take in the passengers until they were cleared to fly home. The situation placed a spotlight on the small town and many stories have come out where the passengers shared how grateful they were to be taken care of during the confusing and scary time period. Well now some of those stories will be shared on stage as part of the play. 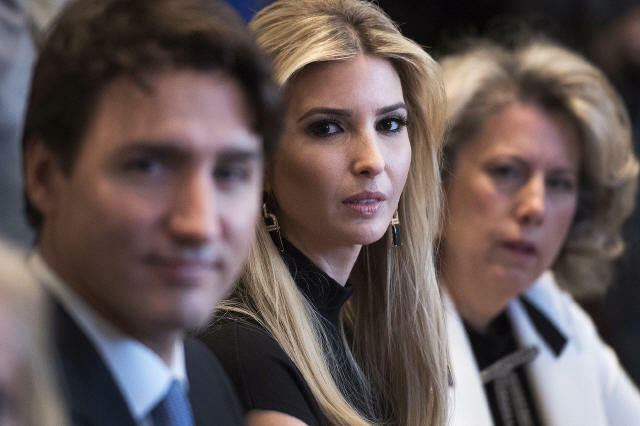 In attendance were cabinet ministers, foreign countries’ ambassadors to the United Nations, former Prime Minister Jean Chretien, and Ivanka Trump. Trudeau and Trump travelled in the same motorcade but in separate cars and quickly entered the building to meet with guests. Sources inside the theatre say both Trudeau and Trump took the time to meet everyone who came up to them and seemed to enjoy themselves. 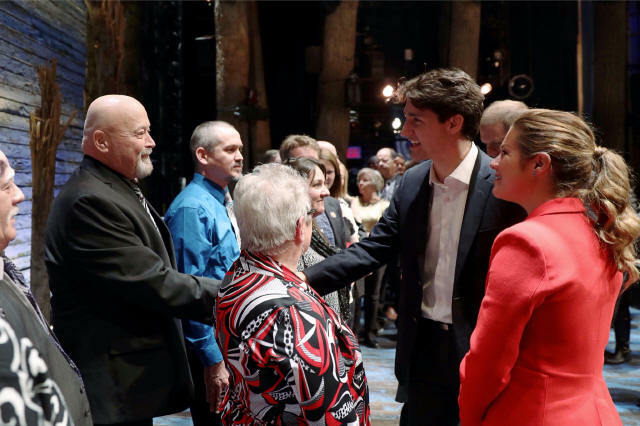 Trudeau introduced the play with a short speech, which got a standing ovation, as he spoke about neighbourly relations. “There is no relationship quite like the friendship between Canada and the United States…our friends are there for those tough times,” he told the crowd. The play offered some emotional moments and some light ones when telling the story how the town residents handled the situation. The play also examined prejudices, with one particular scene showing an Egyptian man being continuously sidelined by frightened characters and stopped from helping with cooking before he explains he is a world-class chef. 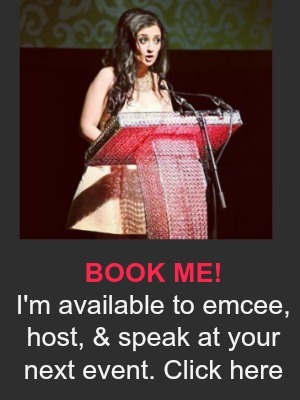 The play has already travelled across the country and is getting rave reviews. Now back to Trump and Trudeau. 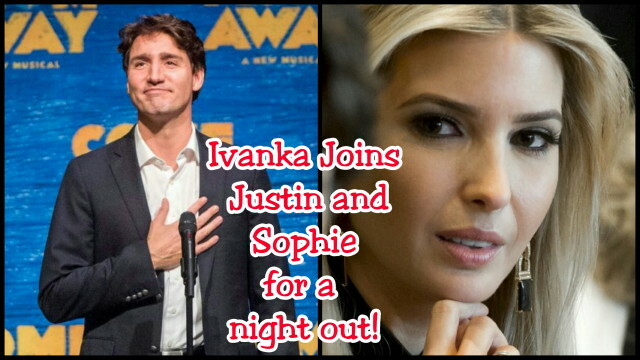 Trudeau’s wife Sophie was in attendance but that hasn’t stopped the Internet from making jokes about Trump and Trudeau. Especially after these photos of Trump looking dazzled by Trudeau at their meeting at the White House. While the memes and social media posts are adorable, there’s no doubt Trudeau’s decision to bring Trump along is all about diplomacy and building a friendly relationship with the U.S. government. 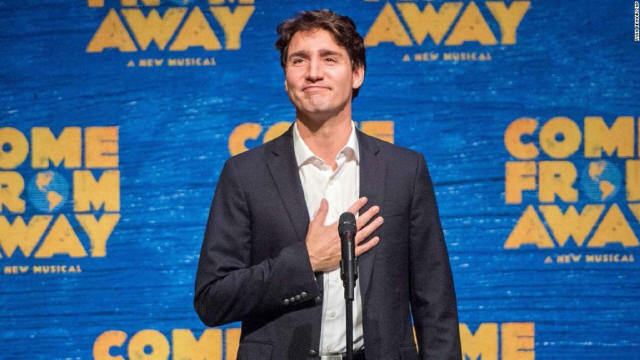 Trump along with husband Jared have key roles with President Donald Trump’s office so bringing Trump along to a play that reminds everyone how important Canada and the USA’s relationship is, especially during periods of crisis, is a smart move and something I hope everyone remembers given the current travel situation. ← It’s Getting Serious! The Weeknd Brings Selena Gomez To His Hometown Toronto.